How often have we watched the draw for a major tournament and puffed our cheeks out in relief after avoiding the dreaded group of death? I think its fair to say quite often. Unfortunately, there was no check puffing when the draw for the European Championships in Sweden took place last Friday (November 9), which saw England paired with France, Russia and conquerors of Scotland, Spain. Hope Powell’s side will travel to Sweden next year on the back of a qualification campaign that saw her side go undefeated and top their group following six wins and two draws. However, Powell faces one of her biggest challenges in her 14 year career as England coach as she tries to better her team’s runner-up spot at the last championships in Finland, where England were beaten by a rampant Germany side 6-2 in the final. There is no question that Powell has arguably the most talented pool of players to pick from thanks to the continuing development of the domestic Women’s Super League, and the fact that this is England’s fifth major tournament in a row, with many of the current squad having featured in at least one of those. The danger for England is there are no easy games in their group. The French possess some of the most gifted players in the world at present, thanks largely to the fact that many of the players play their club football together with current Champions League holders, Lyon. 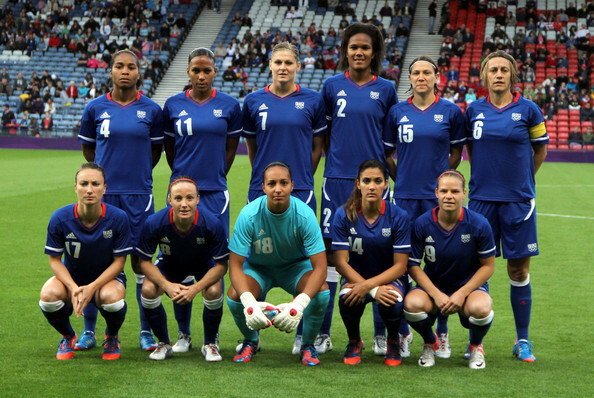 Camille Abily has just been shortlisted for World Player of the Year, while players such as Louisa Necib and Eugénie Le Sommer have had a good 2012. 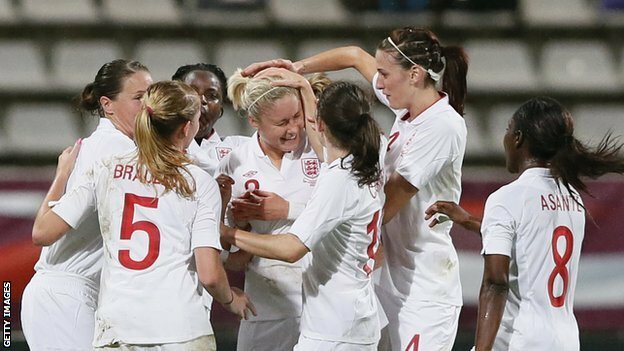 Powell and her England side will know all about the Russians, having been drawn against them at the same stage three years ago in Finland. England found themselves 2-0 down early on, but thanks to three unanswered goals, including one by Kelly Smith from the halfway line, they were able to turn the contest around with a 3-2 win. The Spanish, who qualified with a dramatic last second goal against Scotland in a two-legged play-off, will also look to make an impact having never added to their solitary appearance at a major tournament, which was 1997’s European Championships – where they happened to be semi-finalists. The last time the sides met was in June 2010 when two late goals for England earned them a draw in Spain during their qualification for the 2011 World Cup. Incidentally, England won the home game 1-0 two months earlier. The pressure on England is to try and keep improving, so based on the last major tournament, that will be to get past the quarter-finals, having being knocked out by France on penalties in Germany last year. However, to better their last European Championships appearance, there is only one outcome possible – to win the competition. How difficult will that be? Incredibly. Hosts Sweden appointed former US Women’s National Team coach Pia Sundhage as their new manager recently, with the Swede boasting an impressive record during her time in America that saw her side reach the final of the World Cup and win gold at this year’s Olympics. Holders Germany may feel they have a point to prove after being knocked out of the World Cup at the quarter-final stage last year, which resulted in them failing to qualify for this year’s Olympics. Powell and England won’t be looking too far ahead, though, and will be focusing on the group ahead of them. They do have an advantage being placed in Group C, with all of their first round games taking place in the city of Linköping, so they’ll be no travelling until later on in the competition, should they progress. It would be a surprise if England failed to qualify from their group with the top two teams from all three groups going through, as well as the two best third placed sides. It certainly wont be easy for England, and they’ll need to call on all their major tournament experience over the last few years. 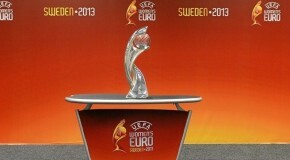 However, one thing is certain, if they want to win Euro 2013, they’re going to have to do it the hard way.